If you're searching for a casual yet sharp ensemble, consider wearing a Gucci rounded collar shirt from farfetch.com and red plaid shorts. Both garments are totally comfortable and will look great together. 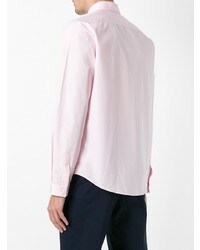 If you're hunting for a casual yet seriously stylish outfit, try teaming a Gucci rounded collar shirt with white shorts. Both items are totally comfortable and will look great paired together. When it comes to footwear, this ensemble pairs perfectly with dark brown leather desert boots. 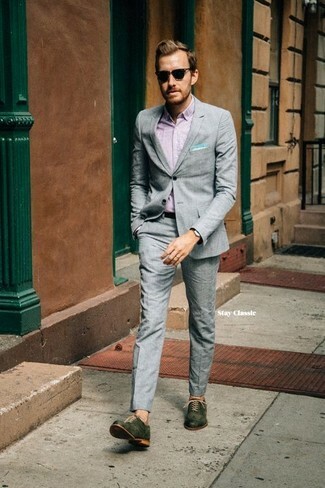 For a nothing less than incredibly stylish look, try pairing a pink long sleeve shirt with a grey suit. Feeling inventive? Complement your outfit with dark green leather oxford shoes. If you're on the lookout for a casual yet on-trend ensemble, reach for a Gucci rounded collar shirt from farfetch.com and grey horizontal striped shorts. Both garments are totally comfortable and will look great together. 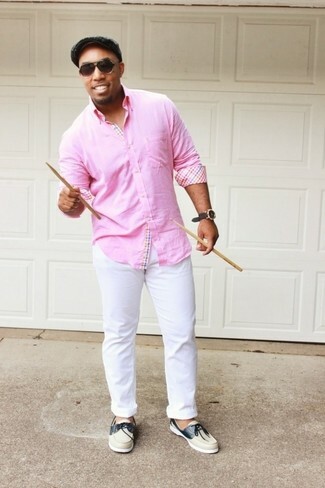 When it comes to footwear, this outfit is finished off well with white leather low top sneakers. 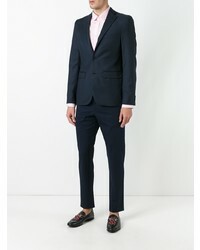 Marry a Gucci rounded collar shirt with grey dress pants like a true gent. Choose a pair of black suede loafers to make the ensemble current. 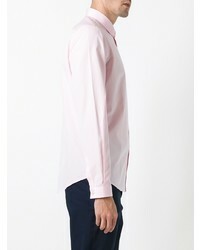 If you're searching for a casual yet dapper outfit, go for a Gucci rounded collar shirt and grey jeans. Both items are totally comfortable and will look great paired together. Up the cool of your outfit by rounding it off with dark brown leather oxford shoes. 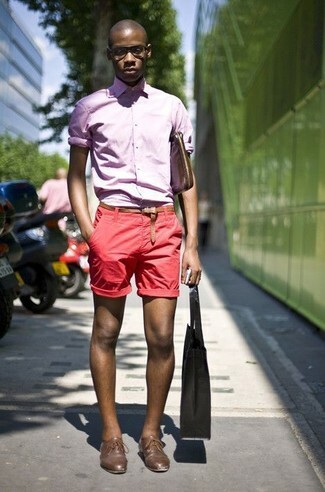 If you're hunting for a casual yet on-trend ensemble, pair a Gucci rounded collar shirt with red shorts. Both items are totally comfortable and will look great together. Brown leather derby shoes will add elegance to an otherwise simple outfit. 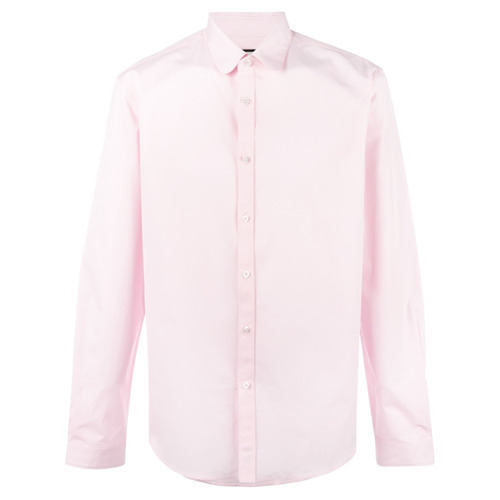 For a nothing less than incredibly stylish outfit, opt for a pink long sleeve shirt and white dress pants. When it comes to shoes, this ensemble pairs wonderfully with brown leather tassel loafers. If you don't like putting too much effort into your combos, go for a Gucci rounded collar shirt and white chinos. 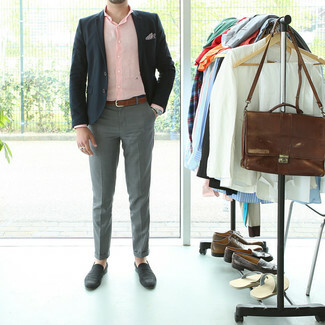 Round off this look with beige leather boat shoes.